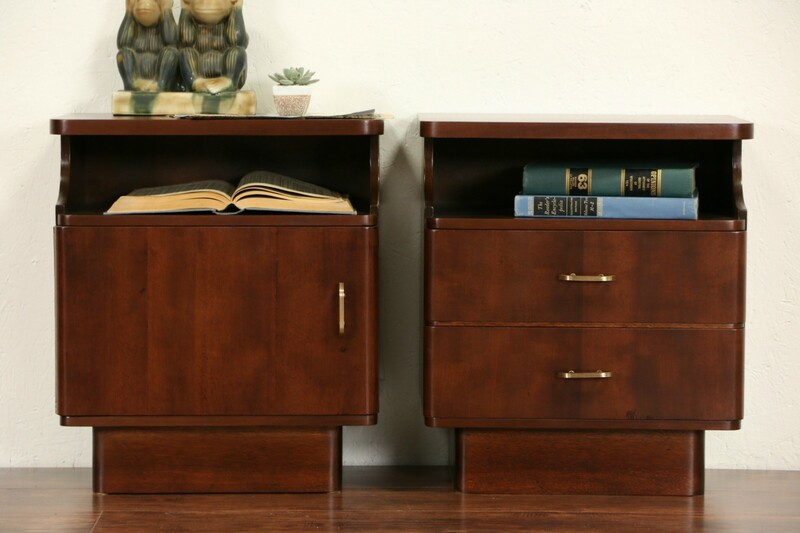 A pair of Midcentury Modern 1960's nightstands or end tables from Scandinavia are mahogany with an excellent satiny finish. Brushed brass pulls are original on this sleek vintage furniture. Size is 18 1/2" wide, 12" deep and 21" tall.